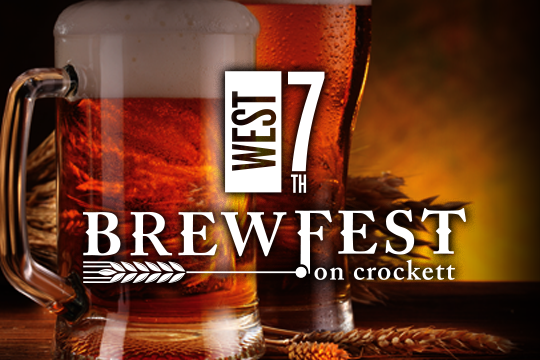 Coming up this September, West 7th is continuing its Brewfest tradition. On this Saturday from 5 – 10 you will be able to go to west 7th to experience a brew extravaganza which includes the first ever Brewfest games where teams of four will compete in games of flip cup, giant beer pong, and more! There will be many featured beers hosted by brews tees from breweries such as Karbach, audacity, Odell’s, and more. The only bad thing about this event is that it is from 5 – 10 which puts it right about game time for TCU football. Not a fan of that timing west 7th but keep up the cool events!